Melioidosis is an infectious disease caused by a Gram-negative bacterium, Burkholderia pseudomallei , found in soil and water. It is of public health importance in endemic areas, particularly in northeast Thailand, Vietnam, and northern Australia. It exists in acute and chronic forms. Signs and symptoms may include pain in chest, bones, or joints; cough; skin infections, lung nodules, and pneumonia. In immunology, seroconversion is the time period during which a specific antibody develops and becomes detectable in the blood. After seroconversion has occurred, the disease can be detected in blood tests for the antibody. During an infection or immunization, antigens enter the blood, and the immune system begins to produce antibodies in response. Before seroconversion, the antigen itself may or may not be detectable, but the antibody is, by definition, absent. During seroconversion, the antibody is present but not yet detectable. 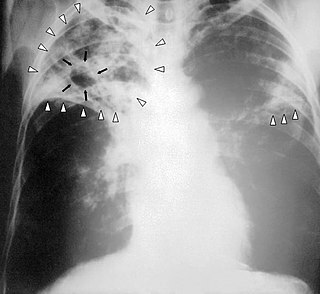 Vietnamese tuberculosis refers to certain forms of chronic melioidosis that look clinically very similar to tuberculosis. It is derived from the clinical appearance of the disease in American soldiers returning from the Vietnam War. Ashdown's medium, a selective medium containing gentamicin, may be required for cultures taken from nonsterile sites. Burkholderia cepacia medium may be a useful alternative selective medium in nonendemic areas, where Ashdown's is not available. A new medium derived from Ashdown, known as Francis medium, may help differentiate B. pseudomallei from B. cepacia and may help in the early diagnosis of melioidosis,  but has not yet been extensively clinically validated. Intravenous ceftazidime is the current drug of choice for treatment of acute melioidosis and should be administered 10 to 14 days after getting the infection. Meropenem,  imipenem  and the cefoperazone-sulbactam combination (Sulperazone)  are also effective. Intravenous amoxicillin-clavulanate (co-amoxiclav) may be used if none of the above four drugs is available, but it produces inferior outcomes. Intravenous antibiotics are given for a minimum of 10 to 14 days, and are not usually stopped until the patient's temperature has returned to normal for more than 48 hours. Even with appropriate antibiotic therapy, fevers often persist for weeks or months, and patients may continue to develop new lesions even while on appropriate treatment. The median fever clearance time in melioidosis is 10 days:  and failure of the fever to clear is not a reason to alter treatment. Moxifloxacin, cefepime, tigecycline, and ertapenem do not appear to be effective in vitro. Piperacillin-sulbactam,  doripenem and biapenem   appear to be effective in vitro, but no clinical experience exists on which to recommend their use. Adjunctive treatment with granulocyte colony-stimulating factor  or co-trimoxazole   were not associated with decreased fatality rates in trials in Thailand. Trimethoprim/sulfamethoxazole (TMP/SMX), also known as co-trimoxazole among other names, is an antibiotic used to treat a variety of bacterial infections. It consists of one part trimethoprim to five parts sulfamethoxazole. It is used for urinary tract infections, MRSA skin infections, travelers' diarrhea, respiratory tract infections, and cholera, among others. It may be used both to treat and prevent pneumocystis pneumonia and toxoplasmosis in people with HIV/AIDS. It can be given by mouth or intravenously. ↑ Stanton AT, Fletcher W (1921). "Melioidosis, a new disease of the tropics". Far Eastern Association of Tropical Medicine: Transactions of the Fourth Congress. Batavia, Dutch East Indies: Javasche Boekhandel en Drukkerij. 1 2 3 4 5 6 7 8 9 10 11 12 13 14 15 16 17 18 19 20 Yi, Chao Foong; Mischelle, Tan; Richard, Bradbury (30 October 2014). "Meliodosis: A Review". Journal of Remote and Rural Health. 14 (4). PMID 25359677. 1 2 3 A J Simpson; Suputtamongkol Y; Smith MD; et al. (1999). "Comparison of imipenem and ceftazidime as therapy for severe melioidosis". Clinical Infectious Diseases. 29 (2): 381–387. doi:10.1086/520219. PMID 10476746. 1 2 3 4 5 6 7 8 9 10 11 12 13 14 15 16 17 18 19 20 21 22 23 24 25 26 27 28 29 30 31 32 33 34 35 36 37 38 39 40 41 42 43 44 45 46 47 48 49 50 51 52 53 54 55 56 57 58 59 60 61 62 63 64 65 66 67 68 69 70 71 72 73 74 75 76 77 W Joost, Wiersinga; Harjeet, S Virk; Alfredo, G Torres; Bart, J Currie (1 February 2018). "Meliodosis". Nature Reviews Disease Primers. 4 (17107): 17107. doi:10.1038/nrdp.2017.107. PMID 29388572. 1 2 Currie BJ, Fisher DA, Howard DM, et al. (2000). "Endemic melioidosis in tropical northern Australia: a 10-year prospective study and review of the literature". Clinical Infectious Diseases. 31 (4): 981–986. doi:10.1086/318116. PMID 11049780. 1 2 Falade OO, Antonarakis ES, Kaul DR, Saint S, Murphy PA (2008). "Clinical problem-solving. Beware of first impressions". New England Journal of Medicine. 359 (6): 628–634. doi:10.1056/NEJMcps0708803. PMC 4007002 . PMID 18687644. ↑ Chetchotisakd, P; Anunnatsiri, S; Kiatchoosakun, S; Kularbkaew, C (2010). "Melioidosis pericarditis mimicking tuberculous pericarditis". Clinical Infectious Diseases. 51 (5): e46–49. doi:10.1086/655699. PMID 20645861. ↑ Suntornsut P, Kasemsupat K, Silairatana S, et al. (2013). "Prevalence of Melioidosis in Patients with Suspected Pulmonary Tuberculosis and Sputum Smear Negative for Acid-Fast Bacilli in Northeast Thailand". American Journal of Tropical Medicine and Hygiene. 89 (5): 983–985. doi:10.4269/ajtmh.13-0286. PMC 3820347 . PMID 24062474. ↑ Ngauy V, Lemeshev Y, Sadkowski L, Crawford G (2005). "Cutaneous Melioidosis in a Man Who Was Taken as a Prisoner of War by the Japanese during World War II". Journal of Clinical Microbiology Microb. 43 (2): 970–972. doi:10.1128/JCM.43.2.970-972.2005. PMC 548040 . PMID 15695721. 1 2 3 4 5 6 7 Allen, C Cheng; Bart, J Currie (April 2005). "Melioidosis: Epidemiology, Pathophysiology, and Management". Clical Microbiology Reviews. 18 (2). doi:10.1128/CMR.18.2.383-416.2005. PMC 1082802 . PMID 15831829. 1 2 3 Holland DJ, Wesley A, Drinkovic D, Currie BJ (2002). "Cystic fibrosis and Burkholderia pseudomallei infection: an emerging problem?". Clinical Infectious Diseases. 35 (12): e138–140. doi:10.1086/344447. PMID 12471591. 1 2 McCormick J B (1975). "Human-to-human transmission of Pseudomonas pseudomallei". Annals of Internal Medicine. 83 (4): 512–513. doi:10.7326/0003-4819-83-4-512. 1 2 Kunakorn M, Jayanetra P, Tanphaichitra D (1991). "Man-to-man transmission of melioidosis". Lancet. 337 (8752): 1290–1291. doi:10.1016/0140-6736(91)92962-2. PMID 1674089. ↑ Parkes, Helen M.; Shilton, Catherine M.; Jerrett, Ian V.; Benedict, Suresh; Spratt, Brian G.; Godoy, Daniel; O'Brien, Carolyn R.; Krockenberger, Mark B.; et al. (2009). "Primary ocular melioidosis due to a single genotype of Burkholderia pseudomallei in two cats from Arnhem Land in the Northern Territory of Australia". Journal of Feline Medicine and Surgery. 11 (10): 856–863. doi:10.1016/j.jfms.2009.02.009. PMID 19428280. ↑ Sprague LD, Neubauer H (2004). "Melioidosis in Animals: A review on epizootiology, diagnosis and clinical presentation". Journal of Veterinary Medicine. B, Infectious Diseases and Veterinary Public Health. 51 (7): 305–320. doi:10.1111/j.1439-0450.2004.00797.x. PMID 15525357. ↑ Mollaret HH (1988). ""L'affaire du Jardin des plantes" ou comment le mélioïdose fit son apparition en France". Médecine et Maladies Infectieuses. 18 (Suppl 4): 643–654. doi:10.1016/S0399-077X(88)80175-6. 1 2 White NJ (2003). "Melioidosis". Lancet. 361 (9370): 1715–1722. doi:10.1016/S0140-6736(03)13374-0. PMID 12767750. ↑ Corkeron ML, Norton R, Nelson PN (2010). "Spatial analysis of melioidosis distribution in a suburban area". Epidemiology and Infection. 138 (9): 1346–1352. doi:10.1017/S0950268809991634. PMID 20092666. ↑ Chantratita N, Wuthiekanun V, Limmathurotsakul D, et al. (2008). Currie B (ed.). "Genetic Diversity and Microevolution of Burkholderia pseudomallei in the Environment". PLoS Neglected Tropical Diseases. 2 (2): e182. doi:10.1371/journal.pntd.0000182. PMC 2254201 . PMID 18299706. ↑ Lin HH; Chen YS; Li YC; e al. (2011). "Burkholderia multivorans acts as an antagonist against the growth of Burkholderia pseudomallei in soil". Microbiology and Immunology. 55 (9): 616–624. doi:10.1111/j.1348-0421.2011.00365.x. PMID 21752084. ↑ Inglis TJ, Garrow SC, Henderson M, Clair A, Sampson J, O'Reilly L, Cameron B (2000). "Burkholderia pseudomallei traced to water treatment plant in Australia". Emerging Infectious Diseases. 6 (1): 56–559. doi:10.3201/eid0601.000110 (inactive 2019-02-20). PMC 2627980 . PMID 10653571. ↑ Apisarnthanarak A, Khawcharoenporn T, Mundy LM (2012). "Flood-associated melioidosis in a non-endemic region of Thailand". International Journal of Infectious Diseases. 16 (5): e409–410. doi:10.1016/j.ijid.2012.01.013. PMID 22421023. ↑ Chierakul W, Winothai W, Wattanawaitunechai C, et al. (2005). "Melioidosis in 6 tsunami survivors in southern Thailand". Clinical Infectious Diseases. 41 (7): 982–990. doi:10.1086/432942. PMID 16142663. ↑ Ko WC, Cheung BM, Tang HJ, Shih HI, Lau YJ, Wang LR, Chuang YC (2007). "Melioidosis outbreak after typhoon, southern Taiwan". Emerging Infectious Diseases. 13 (6): 896–898. doi:10.3201/eid1306.060646. PMC 2792857 . PMID 17553230. ↑ Inglis TJ, O'Reilly L, Merritt AJ, Levy A, Heath CH (2011). "The aftermath of the Western Australian melioidosis outbreak". American Journal of Tropical Medicine and Hygiene. 84 (6): 851–857. doi:10.4269/ajtmh.2011.10-0480. PMC 3110376 . PMID 21633018. ↑ Baker A, Pearson T, Price EP, et al. (2011). "Molecular Phylogeny of Burkholderia pseudomallei from a Remote Region of Papua New Guinea". PLoS ONE. 6 (3): e18343. doi:10.1371/journal.pone.0018343. PMC 3069084 . PMID 21483841. 1 2 Suputtamongkol Y, Chaowagul W, Chetchotisakd P, et al. (1999). "Risk factors for melioiosis and bacteremic melioidosis". Clinical Infectious Diseases. 29 (2): 408–413. doi:10.1086/520223. PMID 10476750. ↑ Raja, NS; Ahmed MZ; Singh NN (1 April 2005). "Melioidosis: an emerging infectious disease". Journal of Postgraduate Medicine. 51 (2): 140–145. PMID 16006713. 1 2 O'Sullivan BP, Torres B, Conidi G, et al. (2011). "Burkholderia pseudomallei infection in a child with cystic fibrosis: acquisition in the western hemisphere". Chest. 140 (1): 239–242. doi:10.1378/chest.10-3336. PMID 21729895. ↑ Phe T, Vlieghe E, Reid T, et al. (2013). "Does HIV status affect the aetiology, bacterial resistance patterns and recommended empiric antibiotic treatment in adult patients with bloodstream infection in Cambodia?". Tropical Medicine and International Health. 18 (4): 485–494. doi:10.1111/tmi.12060. PMID 23294446. ↑ Kanai K, Kurata T, Akksilp S, et al. (1992). "A preliminary survey for human immunodeficient virus (HIV) infections in tuberculosis and melioidosis patients in Ubon Ratchathani, Thailand". Japanese Journal of Medical Science and Biology. 45 (5–6): 247–253. doi:10.7883/yoken1952.45.247. PMID 1306871. ↑ Chierakul W, Wuthiekanun V, Chaowagul W, et al. (2005). "Short report: disease severity and outcome of melioidosis in HIV coinfected individuals". American Journal of Tropical Medicine and Hygiene. 73 (6): 1165–1166. doi:10.4269/ajtmh.2005.73.1165. PMID 16354832. ↑ Peacock SJ, Chieng G, Cheng AC, et al. (2005). 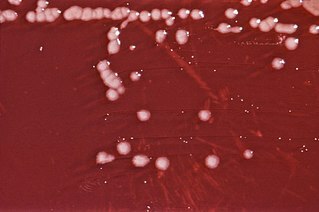 "Comparison of Ashdown's Medium, Burkholderia cepacia Medium, and Burkholderia pseudomallei Selective Agar for Clinical Isolation of Burkholderia pseudomallei". Journal of Clinical Microbiology. 43 (10): 5359–5361. doi:10.1128/JCM.43.10.5359-5361.2005. PMC 1248505 . PMID 16208018. ↑ Francis A, Aiyar S, Yean C, Naing L, Ravichandran M (2006). "An improved selective and differential medium for the isolation of Burkholderia pseudomallei from clinical specimens". Diagnostic Microbiology and Infectious Diseases. 55 (2): 95–99. doi:10.1016/j.diagmicrobio.2005.11.008. PMID 16626918. ↑ Limmathurotsakul D, Chantratita N, Teerawattanasook N, et al. (2011). "Enzyme-Linked Immunosorbent Assay for the Diagnosis of Melioidosis: Better Than We Thought". Clinical Infectious Diseases. 52 (8): 1024–1028. doi:10.1093/cid/cir080. PMC 3070030 . PMID 21460318. ↑ Peacock SJ, Cheng AC, Currie BJ, Dance DA (2011). "The Use of Positive Serological Tests as Evidence of Exposure to Burkholderia pseudomallei". American Journal of Tropical Medicine and Hygiene. 84 (6): 1021–1022. doi:10.4269/ajtmh.2011.11-0114a. PMC 3110358 . PMID 21633045. 1 2 Lim KS, Chong VH (2010). "Radiological manifestations of melioidosis". Clinical Radiology. 65 (1): 66–72. doi:10.1016/j.crad.2009.08.008. PMID 20103424. ↑ Lim KS, Chong VH (2010). "Radiological manifestations of melioidosis". Clinical Radiology. 65 (1): 66–72. doi:10.1016/j.crad.2009.08.008. PMID 20103424. 1 2 Muttarak M, Peh WC, Euathrongchit J, Lin SE, Tan AG, Lerttumnongtum P, Sivasomboon C (2008). "Spectrum of imaging findings in melioidosis". British Journal of Radiology. 82 (978): 514–521. doi:10.1259/bjr/15785231. PMID 19098086. 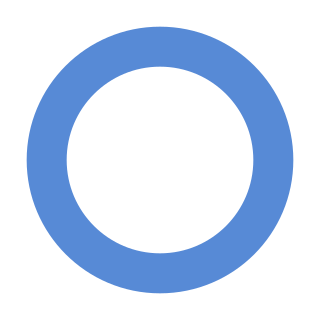 ↑ Centers for Disease Control and Prevention (2009). Biosafety in Microbiological and Biomedical Laboratories (5th ed.). Atlanta, Georgia: National Institutes of Health. ↑ Cheng AC, Currie BJ (2005). "Melioidosis: Epidemiology, Pathophysiology, and Management". Clinical Microbiology Reviews. 18 (2): 383–416. doi:10.1128/CMR.18.2.383-416.2005. PMC 1082802 . PMID 15831829. ↑ Centers for Disease Control and Prevention. Melioidosis. 2012. Accessed February 27, 2017. 1 2 White NJ, Dance DA, Chaowagul W, et al. (1989). "Halving of mortality of severe melioidosis by ceftazidime". Lancet. 2 (8665): 697–701. doi:10.1016/S0140-6736(89)90768-X. PMID 2570956. ↑ Chierakul W, Anunnatsiri S, Chaowagul W, et al. (2007). "Addition of trimethoprim-sulfamethoxazole to ceftazidime during parenteral treatment of melioidosis is not associated with a long-term outcome benefit". Clinical Infectious Diseases. 45 (4): 521–523. doi:10.1086/520010. PMID 17638209. ↑ Cheng AC, Fisher DA, Anstey NM, et al. (2004). "Outcomes of Patients with Melioidosis Treated with Meropenem". Antimicrob Agents Chemother. 48 (5): 1763–65. doi:10.1128/AAC.48.5.1763-1765.2004. PMC 400582 . PMID 15105132. ↑ Chetchotisakd P, Porramatikul S, Mootsikapun P, Anunnatsiri S, Thinkhamrop B (2001). "Randomized, double-blind, controlled study of cefoperazone-sulbactam plus cotrimoxazole versus ceftazidime plus cotrimoxazole for the treatment of severe melioidosis". Clinical Infectious Diseases. 33 (1): 29–33. doi:10.1086/320878. PMID 11389491. ↑ Dance DA, Wuthiekanun V, White NJ, Chaowagul W (1988). "Antibiotic resistance in Pseudomonas pseudomallei". Lancet. 1 (8592): 994–995. doi:10.1016/S0140-6736(88)91810-7. PMID 2896855. 1 2 Suputtamongkol Y, Rajchanuwong A, Chaowagul W, et al. (1994). "Ceftazidime vs. amoxicillin/clavulanate in the treatment of severe melioidosis". Clinical Infectious Diseases. 19 (5): 846–853. doi:10.1093/clinids/19.5.846. PMID 7893868. ↑ Simpson, A. J. H.; Opal, S. M.; Angus, B. J.; Prins, J. M.; Palardy, J. E.; Parejo, N. A.; Chaowagul, W.; White, N. J. (2000). "Differential antibiotic-induced endotoxin release in severe melioidosis". Journal of Infectious Diseases. 181 (3): 1014–1019. doi:10.1086/315306. PMID 10720525. ↑ Bilgrami, I.; Roberts, J. A.; Wallis, S. C.; Thomas, J.; Davis, J.; Fowler, S.; Goldrick, P. B.; Lipman, J. (2010). "Meropenem Dosing in Critically Ill Patients with Sepsis Receiving High-Volume Continuous Venovenous Hemofiltration". Antimicrobial Agents and Chemotherapy. 54 (7): 2974–2978. doi:10.1128/AAC.01582-09. PMC 2897321 . PMID 20479205. 1 2 Shih H-I; Chuang Y-C; Cheung BM-H; et al. (February 2008). "Sporadic and outbreak cases of melioidosis in southern Taiwan: clinical features and antimicrobial susceptibility". Infection. 37 (1): 9–15. doi:10.1007/s15010-008-7324-8. PMID 18854938. 1 2 Harris P, Engler C, Norton R (2011). "Comparative in vitro susceptibility of Burkholderia pseudomallei to doripenem, ertapenem, tigecycline and moxifloxacin". International Journal of Antimicrobia Agents. 37 (6): 547–549. doi:10.1016/j.ijantimicag.2011.02.001. PMID 21481571. ↑ Thamlikitkul V, Trakulsomboon S (2010). "In vitro activity of biapenem against Burkholderia pseudomallei". International Journal of Antimicrobia Agents. 35 (5): 514. doi:10.1016/j.ijantimicag.2010.01.002. PMID 20188524. ↑ Cheng AC, Limmathurotsakul D, Chierakul W, et al. (2007). "A randomized controlled trial of granulocyte colony-stimulating factor for the treatment of severe sepsis due to melioidosis in Thailand". Clinical Infectious Diseases. 45 (3): 308–314. doi:10.1086/519261. PMID 17599307. ↑ Chierakul W, Anunnatsiri S, Short JM, et al. (2005). "Two randomized controlled trials of ceftazidime alone versus ceftazidime in combination with trimethoprim-sulfamethoxazole for the treatment of severe melioidosis". Clinical Infectious Diseases. 41 (8): 1105–1113. doi:10.1086/444456. PMID 16163628. ↑ Chierakul W, Anunnatsiri S, Chaowagul W, Peacock SJ, Chetchotisakd P, Day NP (2007). "Addition of trimethoprim-sulfamethoxazole to ceftazidime during parenteral treatment of melioidosis is not associated with a tong-term outcome benefit". Clinical Infectious Diseases. 45 (4): 521–523. doi:10.1086/520010. PMID 17638209. ↑ Rajchanuvong A, Chaowagul W, Suputtamongkol Y, Smith MD, Dance DA, White NJ (1995). "A prospective comparison of co-amoxiclav and the combination of chloramphenicol, doxycycline, and co-trimoxazole for the oral maintenance treatment of melioidosis". Transactions of the Royal Society of Tropical Medicine and Hygiene. 89 (5): 546–549. doi:10.1016/0035-9203(95)90104-3. PMID 8560537. ↑ Cheng AC, Chierakul W, Chaowagul W, et al. (2008). "Short Report: Consensus Guidelines for Dosing of Amoxicillin-Clavulanate in Melioidosis". American Journal of Tropical Medicine and Hygiene. 78 (2): 208–209. doi:10.4269/ajtmh.2008.78.208. PMC 3034162 . PMID 18256414. ↑ Chaowagul W, Supputtamongkul Y, Smith MD, White NJ (1997). "Oral fluoroquinolones for maintenance treatment of melioidosis". Transactions of the Royal Society of Tropical Medicine and Hygiene. 91 (5): 599–601. doi:10.1016/S0035-9203(97)90044-4. PMID 9463680. ↑ Chetchotisakd P, Chaowagul W, Mootsikapun P, Budhsarawong D, Thinkamrop B (Jan–Feb 2001). "Maintenance therapy of melioidosis with ciprofloxacin plus azithromycin compared with cotrimoxazole plus doxycycline". American Journal of Tropical Medicine and Hygiene. 64 (1–2): 24–27. doi:10.4269/ajtmh.2001.64.24. PMID 11425157. ↑ Chaowagul W; Simpson, Andrew J. H.; Suputtamongkol, Yupin; Smith, Michael D.; Angus, Brian J.; White, Nicholas J. (August 1999). "Clin Infect Dis". Clinical Infectious Diseases. 29 (2): 375–380. doi:10.1086/520218. PMID 10476745. 1 2 Limmathurotsakul D; Chaowagul W; Chierakul Wirongrong; et al. (2006). "Risk factors for recurrent melioidosis in Northeastern Thailand". Clinical Infectious Diseases. 43 (8): 979–986. doi:10.1086/507632. PMID 16983608. ↑ Sarovich DS, Ward L, Price EP, et al. (2014). "Recurrent melioidosis in the Darwin Prospective Melioidosis Study: improving therapies mean that relapse cases are now rare". Journal of Clinical Microbiology. 52 (2): 650–653. doi:10.1128/JCM.02239-13. PMC 3911345 . PMID 24478504. ↑ Maharjan B, Chantratita N, Vesaratchavest M, et al. (2005). "Recurrent Melioidosis in Patients in Northeast Thailand Is Frequently Due to Reinfection Rather than Relapse". Journal of Clinical Microbiology. 43 (12): 6032–6034. doi:10.1128/JCM.43.12.6032-6034.2005. PMC 1317219 . PMID 16333094. ↑ Chaowagul W, Suputtamongkol Y, Dance DA, Rajchanuvong A, Pattara-arechachai J, White NJ (1993). "Relapse in melioidosis: incidence and risk factors". Journal of Infectious Diseases. 168 (5): 1181–1185. doi:10.1093/infdis/168.5.1181. PMID 8228352. ↑ "Bioterrorism". Centers for Disease Control and Prevention. 2018-11-23. Archived from the original on 13 January 2019. Retrieved 15 February 2019. 1 2 Matthew, E. Smith; William, G. Gossman (27 October 2018). "Glanders and Meliodosis". StatPearls Publishing. PMID 28846298. NBK448110. Retrieved 15 February 2019. ↑ V Vuddhakul; et al. (1999). "Epidemiology of Burkholderia pseudomallei in Thailand". American Journal of Tropical Medicine and Hygiene. 60 (3): 458–461. doi:10.4269/ajtmh.1999.60.458. ↑ Wuthiekanun V, Mayxay M, Chierakul W, Phetsouvanh R, Cheng AC, White NJ, Day NP, Peacock SJ (2005). "Detection of Burkholderia pseudomallei in soil within the Lao People's Democratic Republic". Journal of Clinical Microbiology. 43 (2): 923–924. doi:10.1128/JCM.43.2.923-924.2005. PMC 548109 . PMID 15695707. ↑ Rattanavong S, Wuthiekanun V, Langla S, Amornchai P, Sirisouk J, Phetsouvanh R, Moore CE, Peacock SJ, Buisson Y, Newton PN (2010). "Randomized Soil Survey of the Distribution of Burkholderia pseudomallei in Rice Fields in Laos". 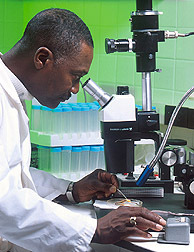 Applied and Environmental Microbiology. 77 (2): 532–536. doi:10.1128/AEM.01822-10. PMC 3020526 . PMID 21075883. ↑ Vongphayloth K, Rattanavong S, Moore CE, Phetsouvanh R, Wuthiekanun V, Sengdouangphachanh A, Phouminh P, Newton PN, Buisson Y (2012). "Burkholderia pseudomallei detection in surface water in southern Laos using Moore's swabs". American Journal of Tropical Medicine and Hygiene. 86 (5): 872–877. doi:10.4269/ajtmh.2012.11-0739. PMC 3335696 . PMID 22556090. 1 2 Lo TJ, Ang LW, James L, Goh KT (2009). "Melioidosis in a Tropical City State, Singapore". Emerging Infectious Diseases. 15 (10): 1645–1647. doi:10.3201/eid1510.090246. PMC 2866399 . PMID 19861063. ↑ Kadir KA, Satyavani M, Pande K (2014). "Melioidosis: Antibiogram of cases in Brunei Darussalam" (PDF). Brunei International Medical Journal. 10 (1): 19–24. ↑ Yang S (2000). "Melioidosis research in China". Acta Tropica. 77 (2): 157–165. doi:10.1016/S0001-706X(00)00139-X. ↑ Ko, WC; Cheung, BM; Tang, HJ; Shih, HI; Lau, YJ; Wang, LR; Chuang, YC (2007). "Melioidosis Outbreak after Typhoon, Southern Taiwan". Emerging Infectious Diseases. 13 (6): 896–898. doi:10.3201/eid1306.060646. PMC 2792857 . PMID 17553230. ↑ Chen YS, Lin HH, Mu JJ, Chiang CS, Chen CH, Buu LM, Lin YE, Chen YL (2010). "Distribution of Melioidosis Cases and Viable Burkholderia pseudomallei in Soil: Evidence for Emerging Melioidosis in Taiwan". Journal of Clinical Microbiology. 48 (4): 1432–1434. doi:10.1128/JCM.01720-09. PMC 2849618 . PMID 20147639. ↑ "Risk of deadly mud disease spreads to Central Australia". 2017-01-09. ↑ Chong VH (2010). "Changing spectrum of microbiology of liver abscess: Now Klebsiella, next Burkholderia pseudomallei". Journal of Emerging Medicine. 41 (6): 676–677. doi:10.1016/j.jemermed.2009.10.027. PMID 20079999. ↑ Chugh TD (2008). "Emerging and re-emerging bacterial diseases in India". Journal of Biosciences. 33 (4): 549–555. doi:10.1007/s12038-008-0073-0. PMID 19208980. ↑ Antony B, Pinto H, Dias M, Shetty AK, Scaria B, Kuruvilla T, Boloor R (2010). "Spectrum of melioidosis in the suburbs of Mangalore, S West Coast of India". Southeast Asian J Trop Med Public Health. 41 (1): 169–74. ↑ Vidyalakshmi K, Chakrapani M, Shrikala B, Damodar S, Lipika S, Vishal S (2008). "Tuberculosis mimicked by melioidosis". International Journal of Tuberculosis and Lung Disease. 12 (10): 1209–1215. ↑ Inglis TJ, Rolim DB, De Queroz Sousa A (2006). "Melioidosis in the Americas". American Journal of Tropical Medicine and Hygiene. 75 (5): 947–954. doi:10.4269/ajtmh.2006.75.947. PMID 17123994. ↑ Brilhante RS, Bandeira TJ, Cordeiro RA, et al. (2012). "Clinical-epidemiological features of 13 cases of melioidosis in Brazil". Journal of Clinical Microbiology. 50 (10): 3349–3352. doi:10.1128/JCM.01577-12. PMC 3457459 . PMID 22814457. ↑ Katangwe T, Purcell J, Bar-Zeev N, Denis B, Montgomery J, Alaerts M, Heyderman RS, Dance DA, Kennedy N, Feasey N, Moxon CA (2013). "Human melioidosis, Malawi, 2011". Emerging Infectious Diseases. 19 (6): 981–984. doi:10.3201/eid1906.120717. PMC 3713813 . PMID 23735189. ↑ Morosini MI, Quereda C, Gil H, Anda P, Núñez-Murga M, Cantón R, López-Vélez R (2013). "Melioidosis in traveler from Africa to Spain". Emerging Infectious Diseases. 19 (10): 1656–1659. doi:10.3201/eid1910.121785. PMC 3810733 . PMID 24047798. ↑ Struelens MJ, Mondol G, Bennish M, Dance DA (1998). "Melioidosis in Bangladesh: a case report". Transactions of the Royal Society of Tropical Medicine and Hygiene. 82 (5): 777–778. doi:10.1016/0035-9203(88)90234-9. ↑ Hosen, Akram (30 Jul 2013). "Deadly bacteria in Gozipur soil". The Daily Star. Dhaka, Bangladesh. Archived from the original on 2013-07-21. Retrieved 30 Aug 2013. ↑ Dance DA, Smith MD, Aucken HM, Pitt TL (1999). "Imported melioidosis in England and Wales". Lancet. 353 (9148): 208. doi:10.1016/S0140-6736(05)77217-2. PMID 9923882. ↑ "Burkholderia pseudomallei" (PDF). Mahout Microbiology Review. 7: 4. 2013. Retrieved 24 April 2016. ↑ Limmathurotsakul, Direk; Golding, Nick; Dance, David A. B.; Messina, Jane P.; Pigott, David M.; Moyes, Catherine L.; Rolim, Dionne B.; Bertherat, Eric; Day, Nicholas P. J.; Peacock, Sharon J.; Hay, Simon I. (11 January 2016). "Predicted global distribution of Burkholderia pseudomallei and burden of melioidosis". Nature Microbiology. 1 (1): 15008. doi:10.1038/nmicrobiol.2015.8. PMC 4746747 . PMID 26877885. ↑ Limmathurotsakul D, Wongratanacheewin S, Teerawattanasook N (2010). "Increasing Incidence of Human Melioidosis in Northeast Thailand". American Journal of Tropical Medicine and Hygiene. 82 (6): 1113–1117. 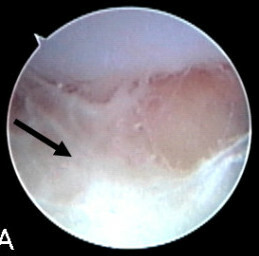 doi:10.4269/ajtmh.2010.10-0038. PMC 2877420 . PMID 20519609. ↑ Kanaphun P, Thirawattanasuk N, Suputtamongkol Y, et al. (1993). "Serology and carriage of Pseudomonas pseudomallei: a prospective study in 1000 hospitalized children in northeast Thailand". Journal of Infectious Diseases. 167 (1): 230–233. doi:10.1093/infdis/167.1.230. PMID 7678106. ↑ Vuddhakul V, Tharavichitkul P, Na-Ngam N, et al. (March 1999). "Epidemiology of Burkholderia pseudomallei in Thailand". American Journal of Tropical Medicine and Hygiene. 60 (3): 4584–61. PMID 10466977. ↑ Kanai K, Dejsirilert S (August 1988). "Pseudomonas pseudomallei and melioidosis, with special reference to the status in Thailand". Japanese Journal of Medical Science and Biology. 41 (4): 123–157. doi:10.7883/yoken1952.41.123. PMID 3075004. ↑ Yang S, Tong S, Mo C, et al. (1998). "Prevalence of human melioidosis on Hainan Island in China". Microbiology and Immunology. 42 (9): 651–654. doi:10.1111/j.1348-0421.1998.tb02335.x. PMID 9802565. ↑ Chen YS, Chen SC, Wu TR, Kao CM, Chen YL (October 2004). "Seroprevalence of anti-flagellin antibody against Burkholderia pseudomallei in Taiwan". Japanese Journal of Infectious Diseases. 57 (5): 224–225. PMID 15507783. Archived from the original on 2008-06-19. ↑ Suputtamongkol Y, Hall AJ, Dance DA, et al. (1994). "The epidemiology of melioidosis in Ubon Ratchatani, Northeast Thailand". International Journal of Epidemiology. 23 (5): 1082–1089. doi:10.1093/ije/23.5.1082. PMID 7860160. ↑ Currie BJ, Jacups SP (December 2003). "Intensity of Rainfall and Severity of Melioidosis, Australia". Emerging Infectious Diseases. 9 (12): 1538–1542. doi:10.3201/eid0912.020750. PMC 3034332 . PMID 14720392. ↑ Liu Y, Loh JP, Aw LT, Yap EP, Lee MA, Ooi EE (2006). "Rapid molecular typing of Burkholderia pseudomallei, isolated in an outbreak of melioidosis in Singapore in 2004, based on variable-number tandem repeats". Transactions of the Royal Society of Tropical Medicine and Hygiene. 100 (7): 687–692. doi:10.1016/j.trstmh.2005.08.017. PMID 16343569. ↑ Sam IC, Puthucheary SD (2007). "Melioidosis and rainfall in Kuala Lumpur, Malaysia". Journal of Infection. 54 (5): 519–520. doi:10.1016/j.jinf.2006.07.007. PMID 16965821. ↑ Baker, Anthony L.; Ezzahir, Jessica; Gardiner, Christopher; Shipton, Warren; Warner, Jeffrey M.; Wooten, R. Mark (23 September 2015). "Environmental Attributes Influencing the Distribution of Burkholderia pseudomallei in Northern Australia". PLOS ONE. 10 (9): e0138953. doi:10.1371/journal.pone.0138953. PMC 4580599 . PMID 26398904. ↑ Whitmore, A; Krishnaswami, CS (1912). "An account of the discovery of a hitherto undescribed infectious disease among the population of Rangoon". Indian Medical Gazette. 47: 262–267. ↑ Vora SK (February 2002). "Sherlock Holmes and a biological weapon". Journal of the Royal Society of Medicine. 95 (2): 101–103. doi:10.1258/jrsm.95.2.101. PMC 1279324 . PMID 11823558. ↑ Strong, Richard P (1944). Stitt's Diagnosis, Prevention and Treatment of Tropical Diseases (7th ed.). Philadelphia: The Blakiston Company. p. 732. ↑ Dance DA, Wuthiekanun V, Chaowagul W, White NJ (1989). "Interactions in vitro between agents used to treat melioidosis". Journal of Antimicrobial Chemotherapy. 24 (3): 311–316. doi:10.1093/jac/24.3.311. PMID 2681117. ↑ Whitmore A, Krishnaswami CS (1912). "An account of the discovery of a hitherto undescribed infective disease occurring among the population of Rangoon". Indian Medical Gazette. 92: 262–267. ↑ Barker A (19 June 2005). "Rise in melioidosis rates in NT". Australian Broadcasting Corporation . Retrieved 2007-06-24. ↑ Orellana C (November 2004). "Melioidosis strikes Singapore". Lancet Infect Dis. 4 (11): 655. doi:10.1016/S1473-3099(04)01190-9. PMID 15534940. ↑ C S Krishnaswami. "Morphia injectors' septicaemia". Indian Medical Gazette. 52 (1917): 296–299. Wikimedia Commons has media related to Burkholderia pseudomallei .